What’s the difference between additive and subtractive color mixing? Why does green and red paint make black, but green and red light makes yellow? Is white light really made up of all the colors of the rainbow? Young kids have a hard time with additive color mixing because most of their experience is with paint. Paints and pigments follow rules of subtractive color mixing. So it’s no surprise that when kids think about mixing colors, they think that mixing red and green makes a mess. But when you are talking about light, red and green make yellow. 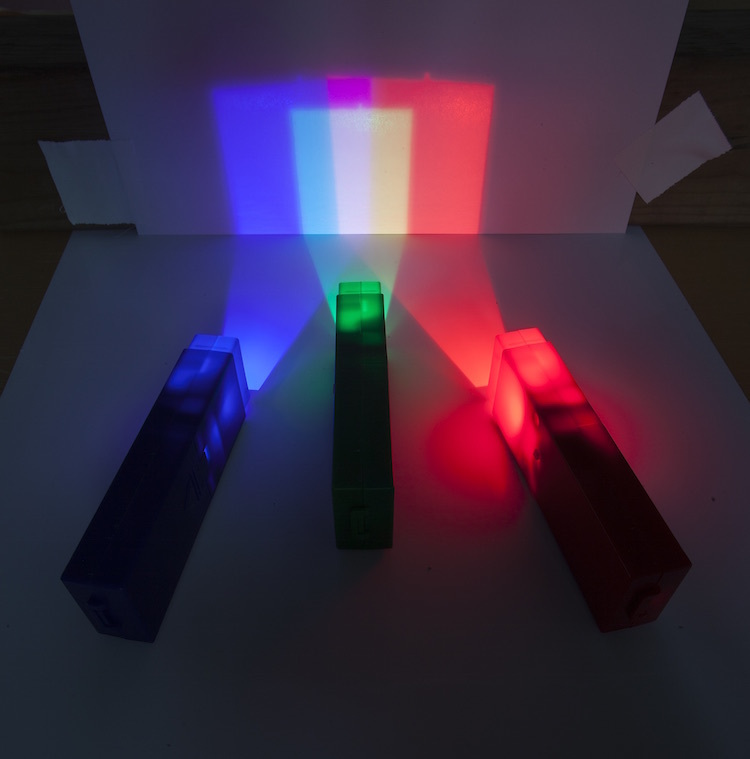 With additive color mixing, you literally add, or increase, the wavelengths of light available. So when you combine red, green and blue light, you end up with white! This lesson, for grades 1-5, gives students a concrete, hands on STEM experience with additive color mixing to compare with the concrete experience of mixing paints or crayons!